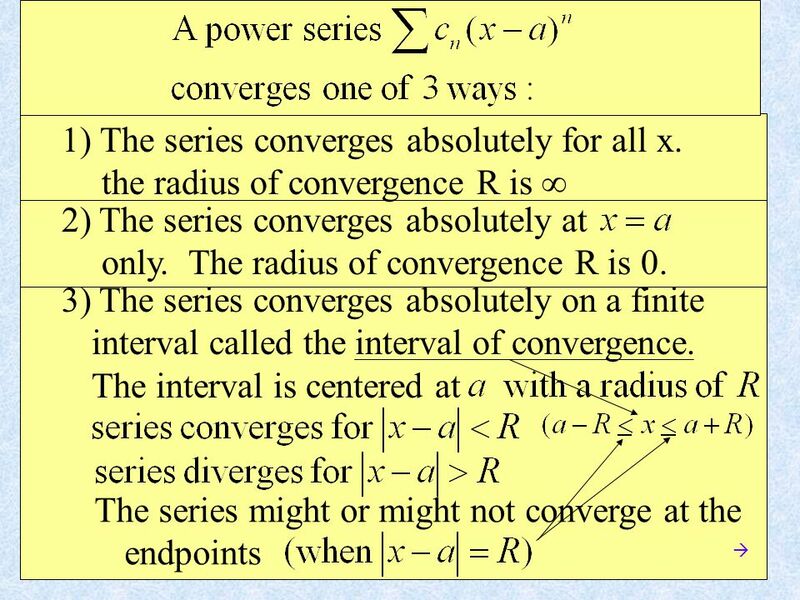 Chapter 9.8 - Power Series . 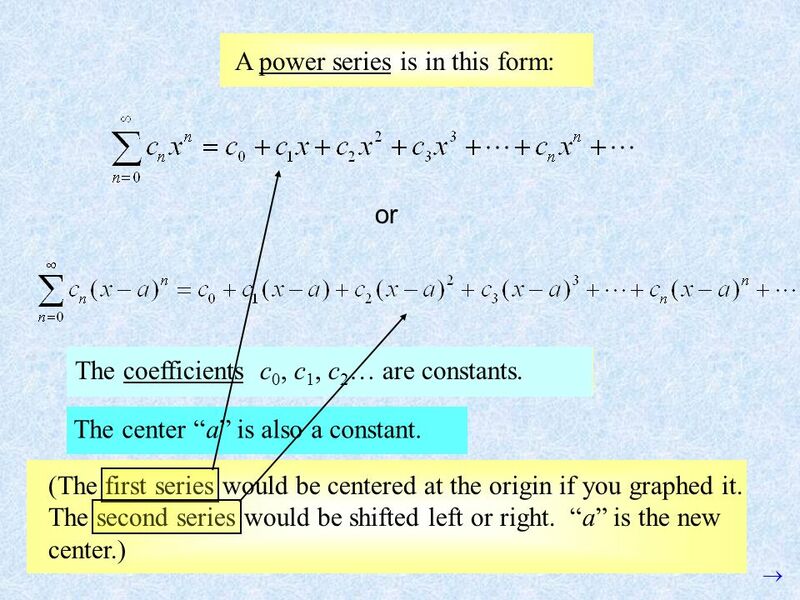 A power series is in this form: or The coefficients c 0, c 1, c 2 … are constants. 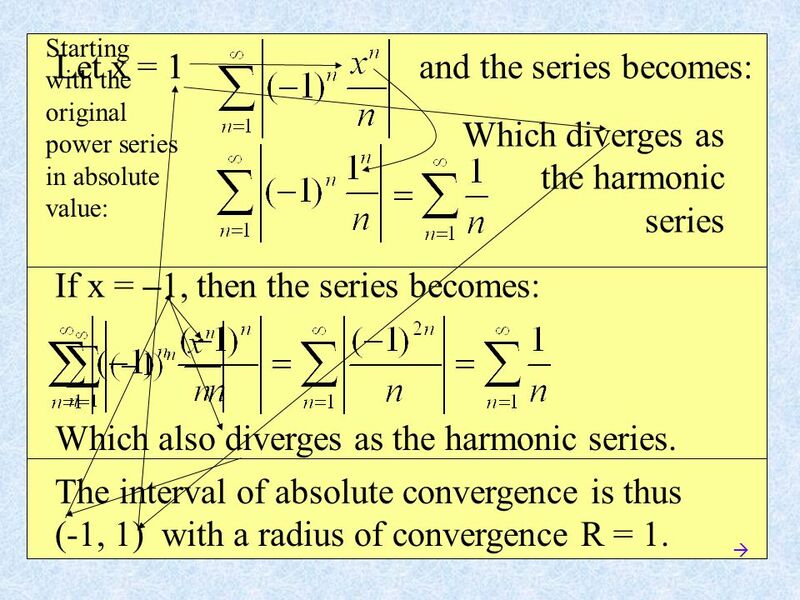 The center “a” is also a constant. 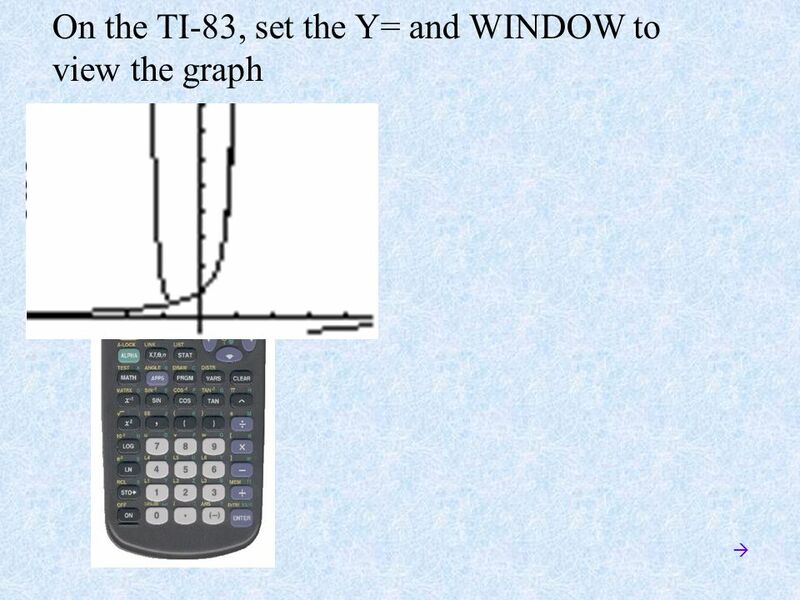 (The. 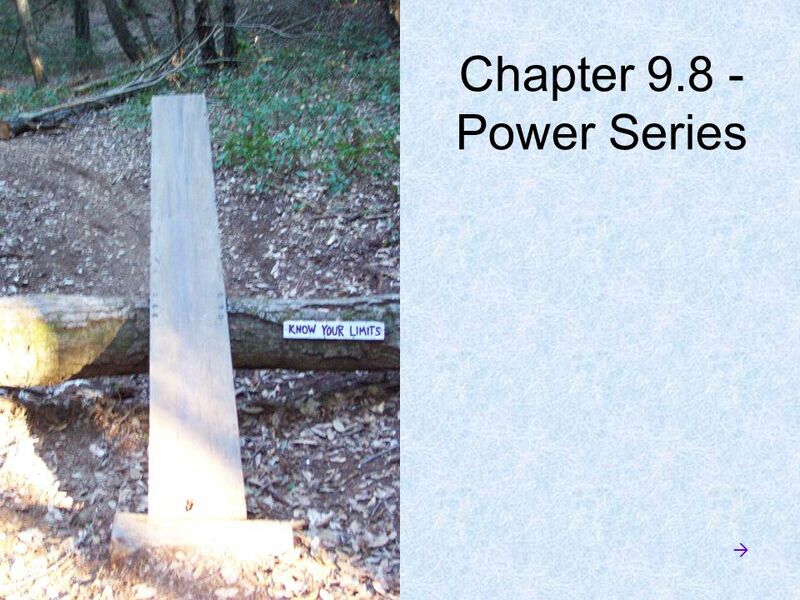 Download ppt "Chapter 9.8 - Power Series . 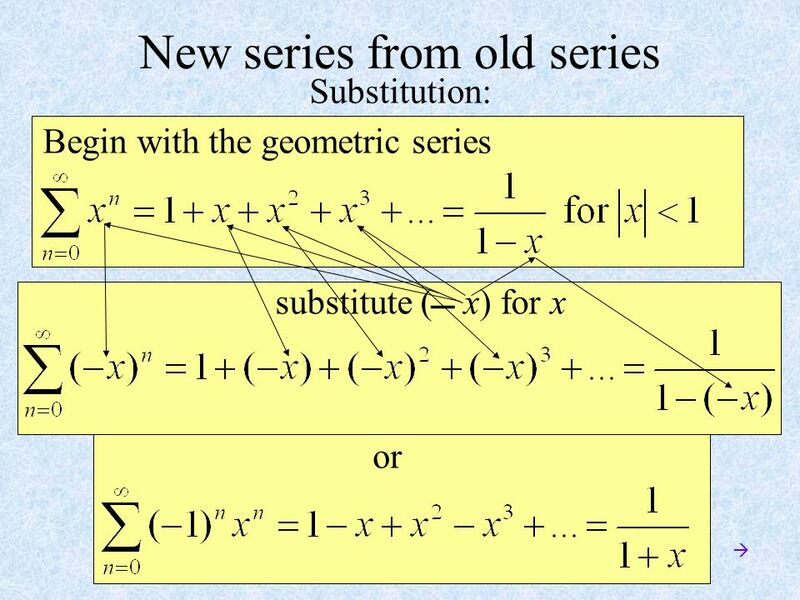 A power series is in this form: or The coefficients c 0, c 1, c 2 … are constants. 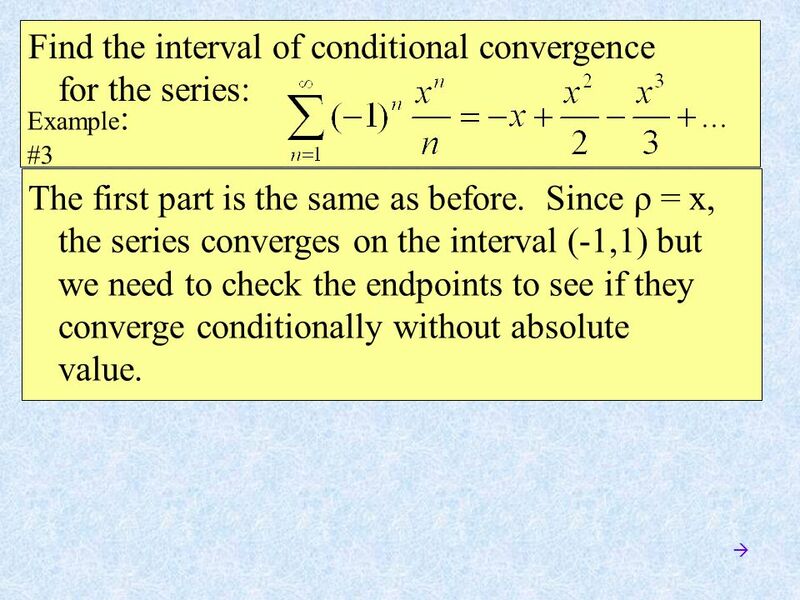 The center “a” is also a constant. 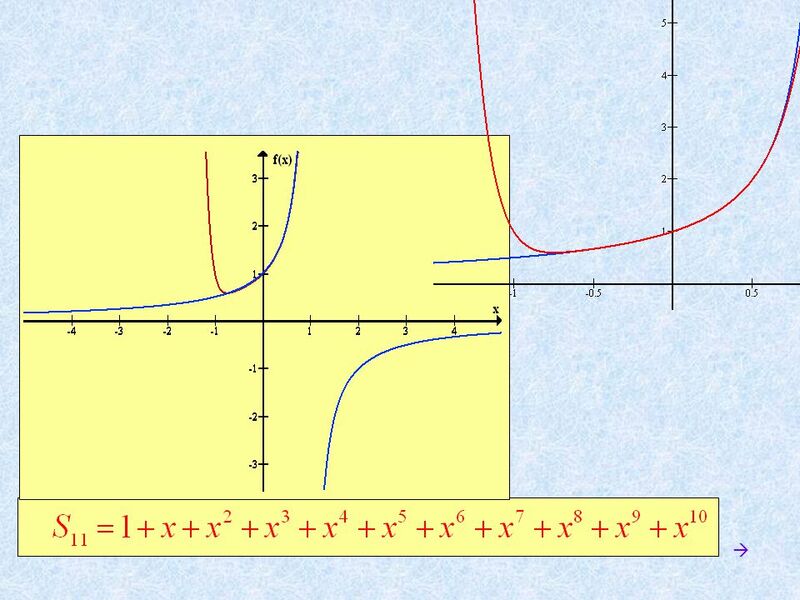 (The." 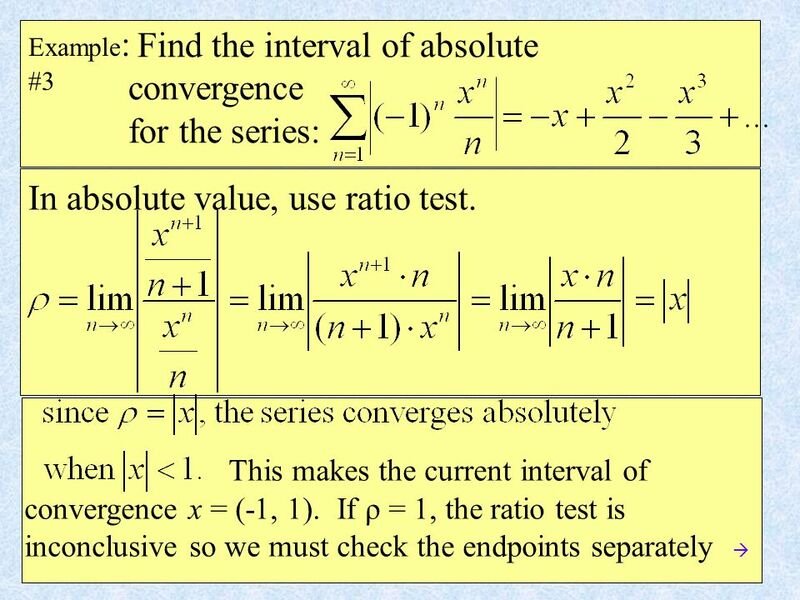 Section 11.5 – Testing for Convergence at Endpoints. 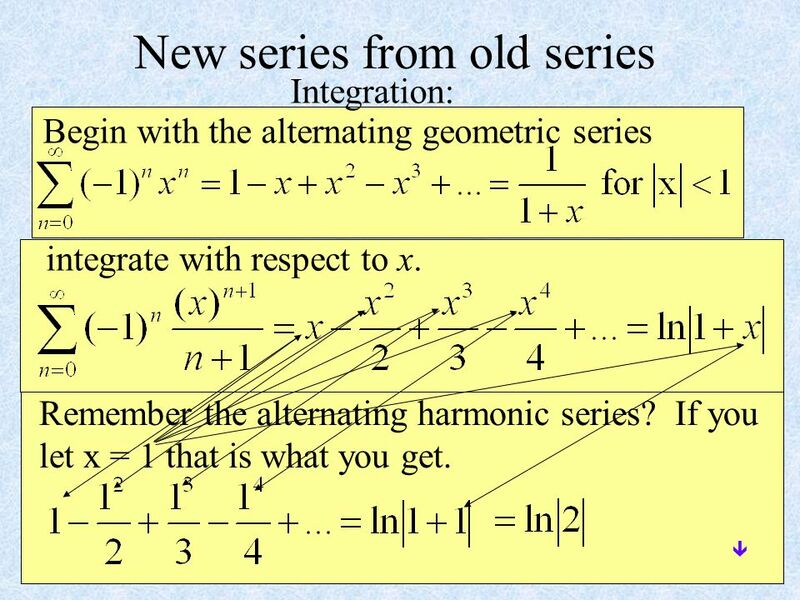 Chapter 10 Infinite Series by: Anna Levina edited: Rhett Chien. 9.4 Radius of Convergence Abraham Lincoln’s Home Springfield, Illinois. 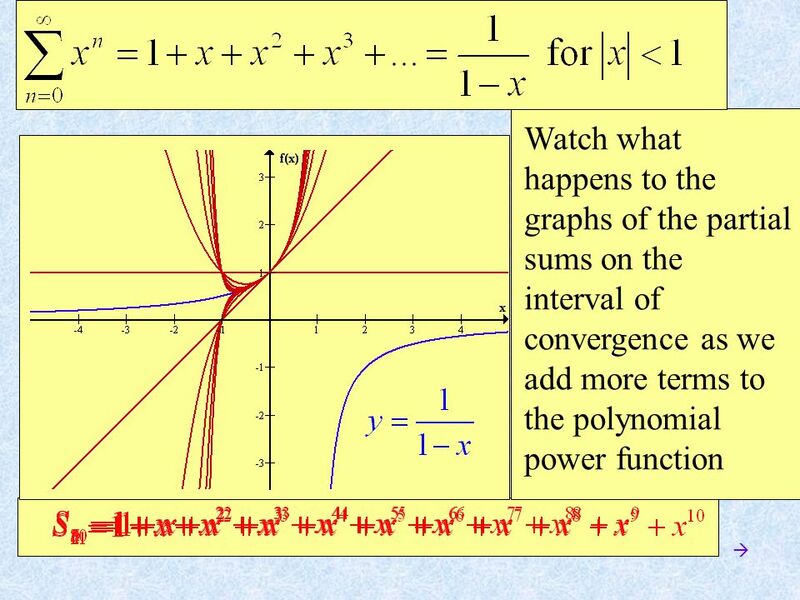 Power Series is an infinite polynomial in x Is a power series centered at x = 0. 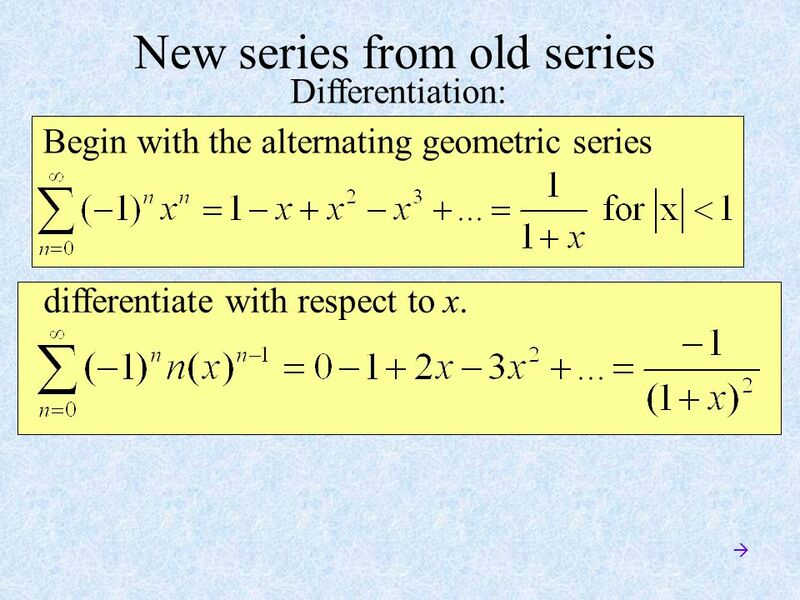 Is a power series centered at x = a. and. 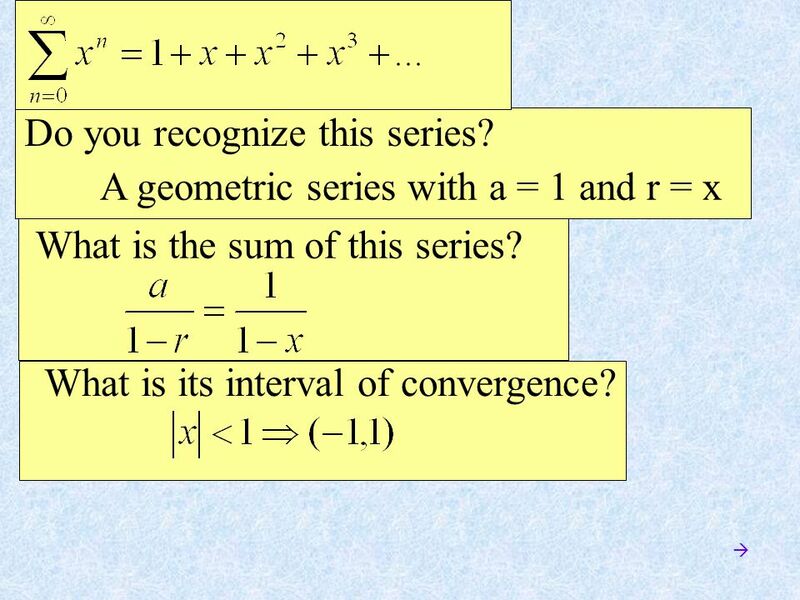 (a) an ordered list of objects. 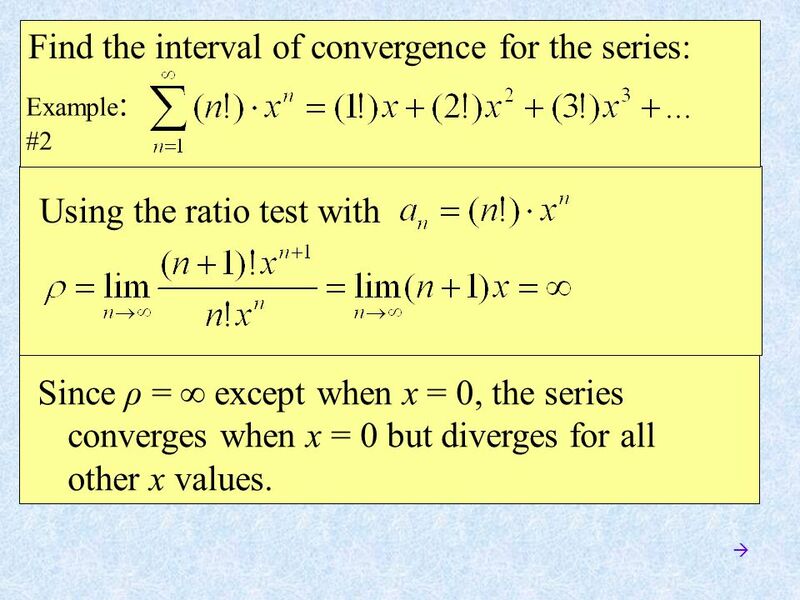 Math Calculus I Part VII: More tests for convergence; Power series. 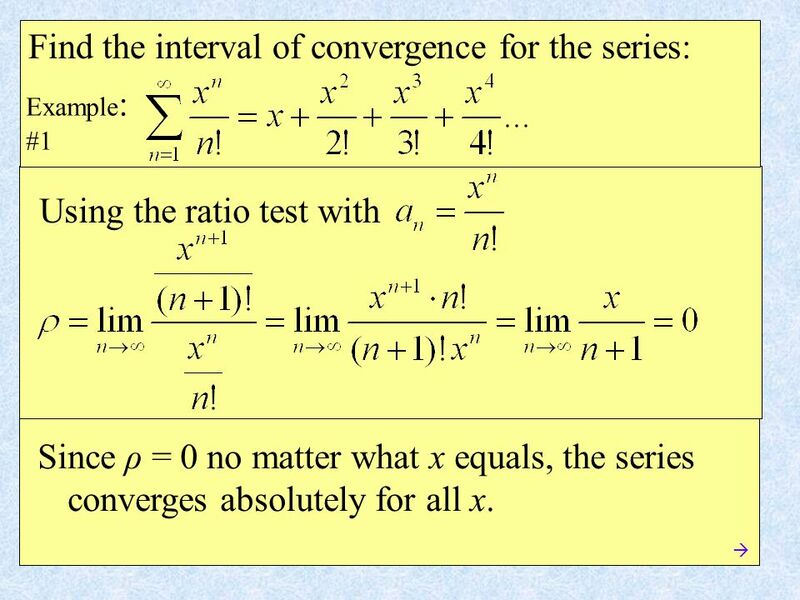 Series: Guide to Investigating Convergence. 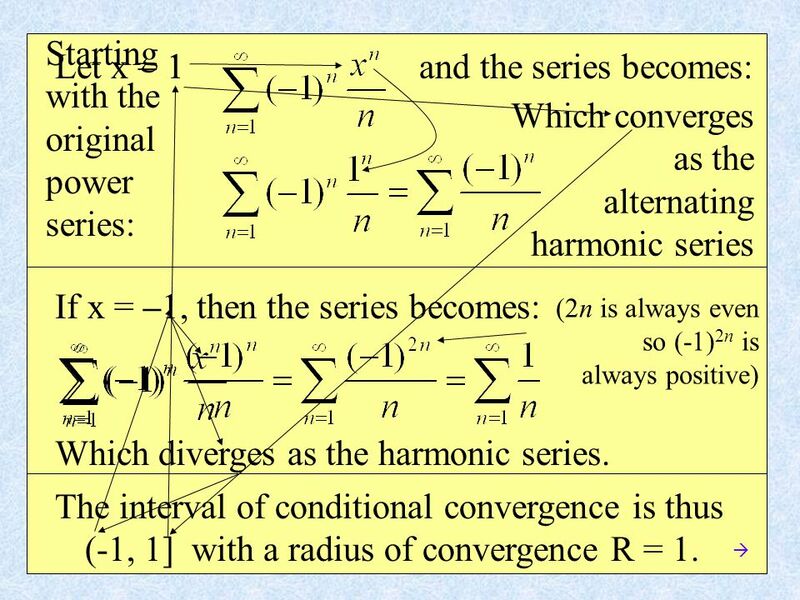 Understanding the Convergence of a Series.